It was through her selling at the market that she has overcome her shyness. She is so happy that finally she can communicate, negotiate and bar­gain to get the best to sell and make good money. Ani Vakai Petueli, 36, of Nabunikadamu in Wainunu, Bua a tourism student soon after high school had a change of career follow­ing her work attachment at a bakery. “I was always tired after work. I was always shy and that was one of my weaknesses,” she said. She has never regretted that deci­sion. 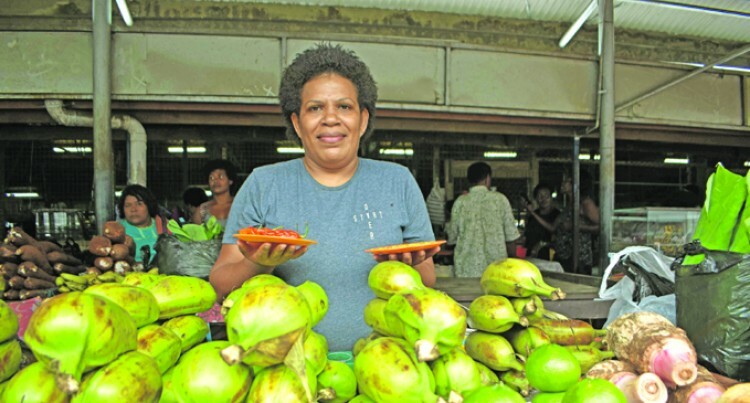 The mother of four has been selling at the Labasa Market the past three years. “I was shy at first but as time went by I realised that I was getting used to talking to people. I got to meet new people every day,” she said. “I became confident that my nego­tiation and bargaining skills with farmers improved. I am now getting the best for my money – in getting fresh supplies for my customers. Mrs Petueli said the money she earned hasassisted her family because her husband was paid fort­nightly. Her takings from her busi­ness come handy.